The molar mass of calcium is approximately 40 g/mole. 40 g of calcium is equivalent to one mole of calcium. 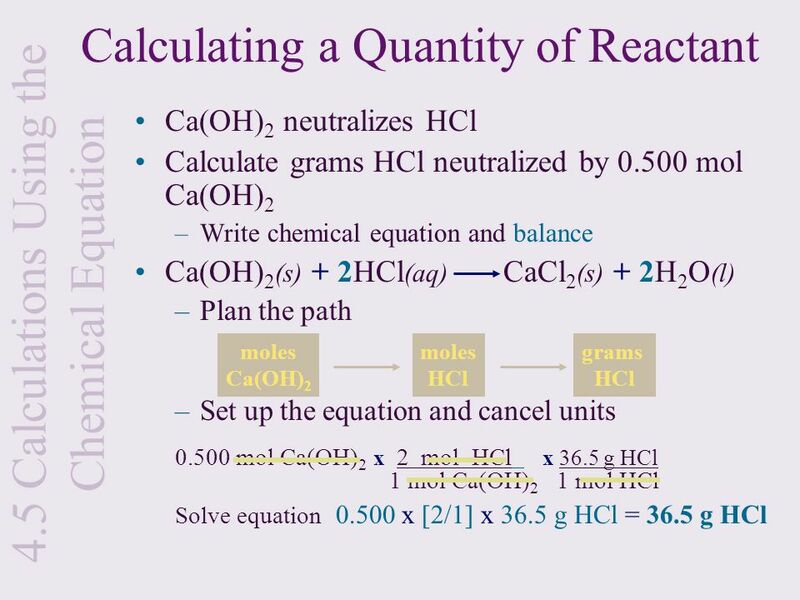 The complete chemical reaction of this with HCl requires two moles of hydrochloric acid.... 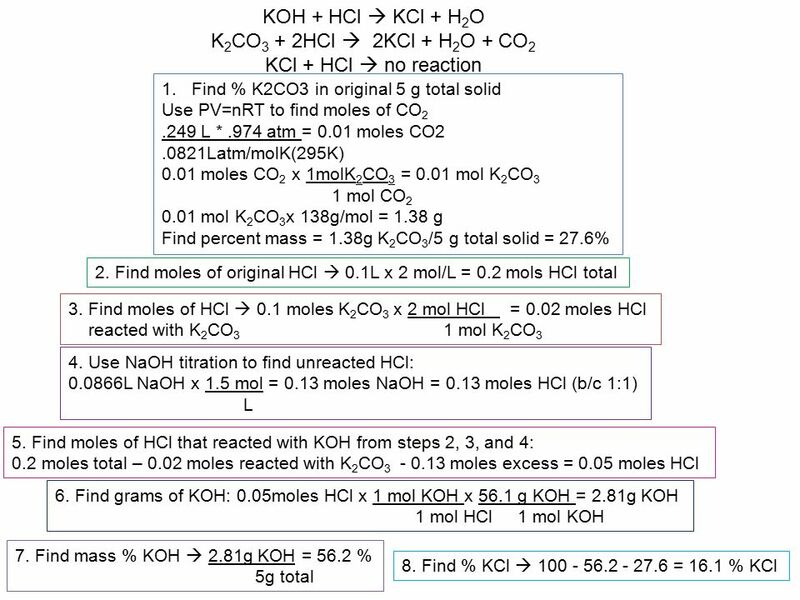 The acetate solution was made by dissolving 0.50 mol of acetic acid and 0.50 mol sodium acetate in 1 liter of water; at equilibrium [H + ] = 1.8 x 10 -5 M. The HCl solution was made by dissolving 1.8 x 10 -5 mol of HCl in 1 liter of water. 11/10/2005 · i can't find it anywhere on the internet. boo. 1 mole of HCl is 36.461 grams. Add to 1 L of water (1 kg) and you get 1036.461 g/L. Divide by 1000 to convert to g/mL = 1.036 g/mL.